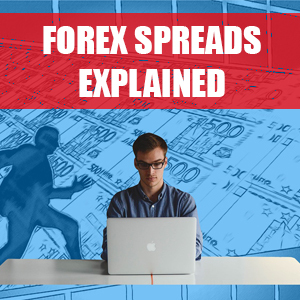 In this post I will be explaining what forex spreads are and why they are an important factor to consider before trading the forex market. 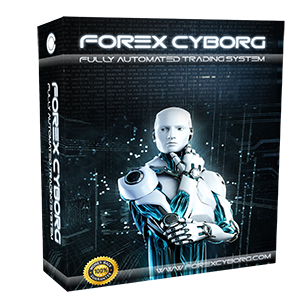 Forex spreads can be the difference between a profitable and non-profitable forex trading strategy, especially when using a forex scalping system. Before placing a trade, you should consider the current spread and how it can impact your trading costs and therefore the potential profits your next trade may or may not achieve. In a nutshell, forex spreads are the difference between the bid and ask price. This is a trading cost that you have to pay when entering a trade in the forex market. The spread will vary depending on the current liquidity of the currency pair that you are trading. Major currency pairs such as the EURUSD and GBPUSD tend to have lower spreads as they usually have the highest amount of trading volume thus more liquidity. More exotic pairs such as the USDZAR and EURDKK will tend to have higher spreads as they have less volume/liquidity. 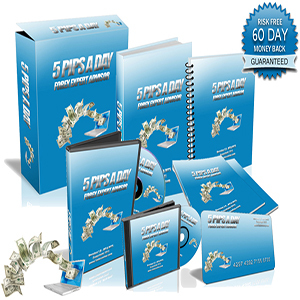 This can make trading exotic currency pairs more difficult because once you factor in the cost of the spread and other trading costs such as commission, slippage and swap, you would need to make a significant amount of pips to even turn a small profit. Therefore, trading the major currency pairs especially when using a forex scalping system is usually preferred. As always, for the lowest possible spreads, I would personally use a true ECN forex broker as they tend to have the most liquidity providers which pooled together can provide amongst the lowest spreads available to retail forex traders. It is also worth considering that during news releases and when the market is quieter in the evening after the NY close and pre-Asian market open, forex spreads can widen due to lack of trading volume/liquidity during these hours which can also increase trading costs and make it harder to turn a profit once these increased spreads are factored in. For example, if you have a target of 10 pips and the EURUSD spread on your broker is usually 1 pip, you have more chance of reaching that target with a 1 pip spread than you do if the spread widens to 5 pips during a news release or pre-Asian session scalping. What are the types of Forex Spreads? Most forex brokers will offer 2 types of spread, these are variable forex spreads and fixed forex spreads. What are fixed Forex Spreads? Fixed forex spreads are basically when the broker offers the same spread whatever the time of day. It is worth noting that whilst some brokers claim to offer fixed spreads, in the small print they state that spreads can in fact widen during news releases and low volatility market hours. If your forex trading system is dependant on low spreads (e.g. scalping) then make sure you are aware of this. I am also cautious when a forex broker claims to offer fixed spreads 24 hours a day for the simple reason that this is not really a sustainable business model. Why? Because if for example they offered a fixed spread of just 1 pip on the EURUSD and you traded only during low volatility hours when the broker is getting a spread of around 3 pips from their liquidity providers (LP’s) but are charging you just 1 pip, they will be covering your spread. Thus, when you start making profits and they see it has cost them, this may lead to issues with withdrawing profits or they may start increasing spreads once they realise this. 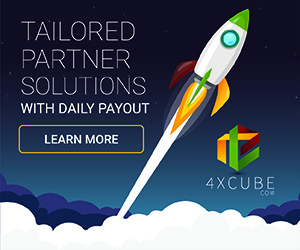 Of course, with small volume you could fly under the radar but I personally don’t believe this would be a sustainable business model for a forex broker or a reliable long term strategy for the forex trader. Sometimes if something seems too good to be true, it usually is! What are the advantages of fixed Forex Spreads? The main advantage of fixed spreads (where you can actually genuinely get them!) is that you always know what the cost of the spread will be. So, if your trading system relies on just making a few pips, let’s say 2 pips per trade, you know that if the spread is always 1 pip on the EURUSD that you will always make a 1 pip profit provided there is no commission which is usually the case with fixed spread accounts. Furthermore, you would also need to factor in slippage which can be 1 pip or more depending on your brokers liquidity. What are the disadvantages of fixed Forex Spreads? The main disadvantage of fixed spreads is that they are not always offered 24 hours a day by most brokers who do provide them, which are few and far between. Furthermore, if you trade on a fixed spread account during “normal” trading hours and not around news releases, often the variable spreads will work out cheaper, even with commission added on top. If you took a trade with a fixed spread of 1 pip on the EURUSD but the liquidity was very high at that time, chances are you could have saved a few points on a variable spread account. What are variable Forex Spreads? Variable forex spreads are spreads where you receive the best possible bid/ask prices dependant on the liquidity providers (LP’s) that your broker is using. As the name suggests, these types of spreads can change throughout the day depending on the current liquidity and volatility within the markets. As a rule of thumb, the more active a currency pair is in terms of trading volume, the lower the variable spread is likely to be. Nearly all forex brokers offer variable spread accounts, some even offer zero spread accounts. As good as a zero spread account sounds, it does not mean the spread is always zero (that would be nice!). A zero account usually means that the spread CAN be zero at certain times when the currency pair is very active but also consider that variable spread accounts do usually incur a commission charge that you must pay to you broker for each trade that you make. What are the advantages of variable Forex Spreads? The main advantage of variable forex spreads especially when using a good ECN forex broker is that you tend to get the best possible spreads available at any given time. Brokers using this variable spread model will usually put your trade straight through to the liquidity providers without any interference that market makers could do. Thus, you get inter bank spreads rather than marked up broker spreads. What are the disadvantages of variable Forex Spreads? The main disadvantage of variable forex spreads is that they can widen significantly during news releases and low volatility market hours. These variable spread account types will also usually have a commission charge on top. Thus, it can be hard to know exactly how much a trade will costs you to execute each and every time. Furthermore, if using an unscrupulous forex broker, they may even mark up spreads so that you are not getting “true variable spreads” direct form the liquidity providers. Fixed Forex Spreads vs variable Forex Spreads: Which forex spreads are better and why? In an ideal world, I believe that forex spreads being capped at a maximum amount would be amazing. Just imagine knowing that no matter what time of day you trade or whatever the market volatility, you will always only pay a spread up to “x” amount. This would allow us to calculate our trading costs accurately each and every time whilst making scalping a whole lot easier! But that is perhaps unrealistic and the fact that nearly all brokers have differing spreads means that what is a winning system on one broker could be a losing system on another broker, simply due to the difference in spreads! Hence, you should choose your forex broker wisely. 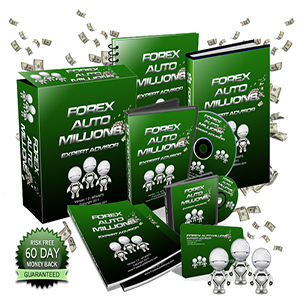 You can see my best forex brokers here. Whilst fixed spreads sound great on the surface, they tend to not always be fixed and variable spreads can work out cheaper in the long run especially if you are trading during “normal” market hours and on major currency pairs. There is a reason it is rare for a forex broker to offer fixed spreads accounts (especially a regulated one) and you may possibly run into trouble with a broker who does if you start becoming very profitable and they are paying the extra to the liquidity provider on your behalf simply because the fixed spreads they offer are too low. For peace of mind, I would prefer to use a variable spread account on a good ECN forex broker with plenty of liquidity providers (LP’s) for the best possible spread and minimal slippage. Next Next post: What is Forex Leverage and Margin and how do they impact forex traders?